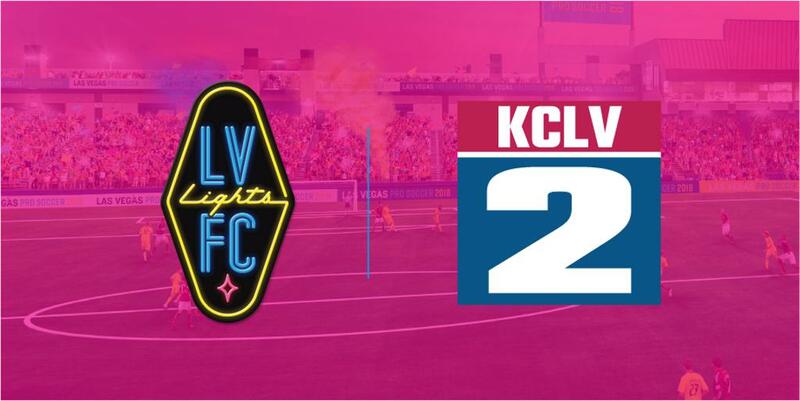 The inaugural Las Vegas Lights Football Club home match will air live at 8 p.m. on Saturday, Feb. 10, on KCLV Channel 2, and will be streamed live worldwide on KCLV.TV/Live. KCLV Channel 2 is the award-winning government access station for the city of Las Vegas. Cox customers can find KCLV in high definition on channel 1002. Century Link customers can watch on cahnnel 2 and in high definition on channel 1002. The first match in club history will come against Major League Soccer's Montreal Impact - the first of three MLS clubs to visit Cashman Field in Downtown Las Vegas on consecutive Saturdays as part of the club's Soccer Spring Training schedule. Lights FC will then host Vancouver Whitecaps FC on Saturday, Feb. 17, and D.C. United on Saturday, Feb. 24. All three exhibitions are scheduled to begin at 8 p.m. Lights FC regular season play in the United Soccer League (USL) begins on Saturday, March 17, on the road at Fresno FC. The regular season home opener takes place a week later, at 8 p.m. on Saturday, March 24, vs. in-state rival Reno 1868 FC. The free Downtown Loop Shuttle will be adding a stop at Cashman Field beginning at 5 p.m. Saturday through mindnight Sunday morning. For more information about the Loop, visit www. lasvegasnevada.gov/DowntownLoop. Single-game tickets for Lights FC's three Soccer Spring Training matches and all USL regular season matches are now on sale, starting at just $15. Purchase today by visiting LightsFC.com/SingleTix or by calling 702.728.GOAL (4625) during regular business hours. Lights FC 2018 season tickets are also still on sale, starting at just $200. Each season ticket purchased includes a free team jersey (valued at $80). Tickets for groups of 10 or more are also now on sale, starting at just $18 per ticket, with each ticket purchased including a free Lights FC scarf (valued at $20). For more ticketing inquiries, visit LightsFC.com/Tickets.